April 15, 2019 4:27 pm. Our Libretto will run in the JRA Plate in Sydney in preference to the Easter Cup in Melbourne. 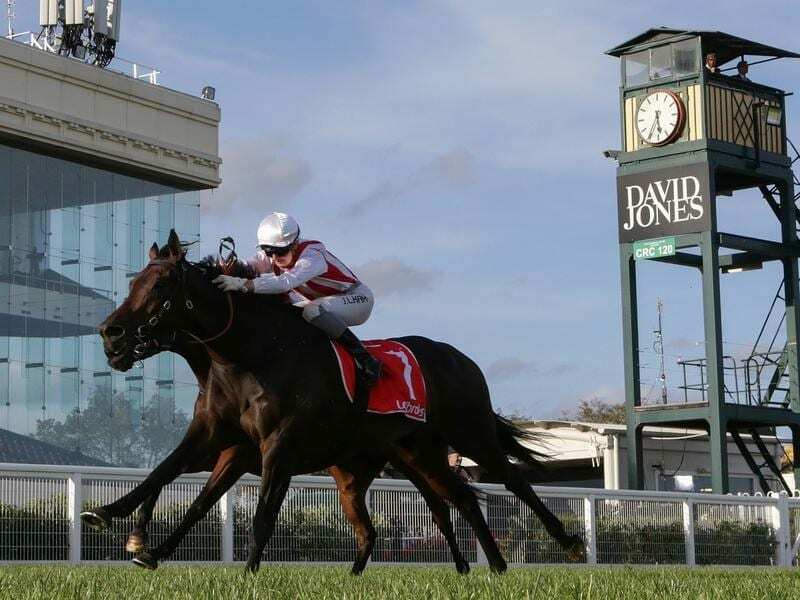 Our Libretto won over 2000m at Caulfield second-up last Saturday week and is also among nominations for Saturday’s Group Three Easter Cup at the same Melbourne venue, but trainer Grahame Begg will instead be running the mare on the bigger track at Randwick in the JRA Plate. The lightly raced five-year-old travelled from Victoria to Sydney on Sunday and Damian Lane is booked to ride her in Saturday’s 2000m Randwick race which has attracted 26 nominations. “I’m delighted with the way she has progressed and I feel she has taken good improvement from her last start,” Begg said. “We galloped her at Pinecliff on Friday before she left for Sydney and she worked really well. A Queensland campaign is also possible for Sandown Classic placegetter Our Libretto, who has won five of her eight starts since joining Begg’s stable from New Zealand where she had two races. “She could possibly go to Brisbane,” Begg said. The Easter Cup, meanwhile, has 23 nominations with Night’s Watch and Extra Brut among four nominations for the Ciaron Maher and David Eustace stable.